An ominous spike in global ocean temperatures are threatening some of our most cherished underwater ecosystems. Coral reef communities — from the Great Barrier Reef to the Caribbean — could be victims of the third recorded global coral bleaching event on record, fueled by a combination of a strong El Niño and manmade global warming. 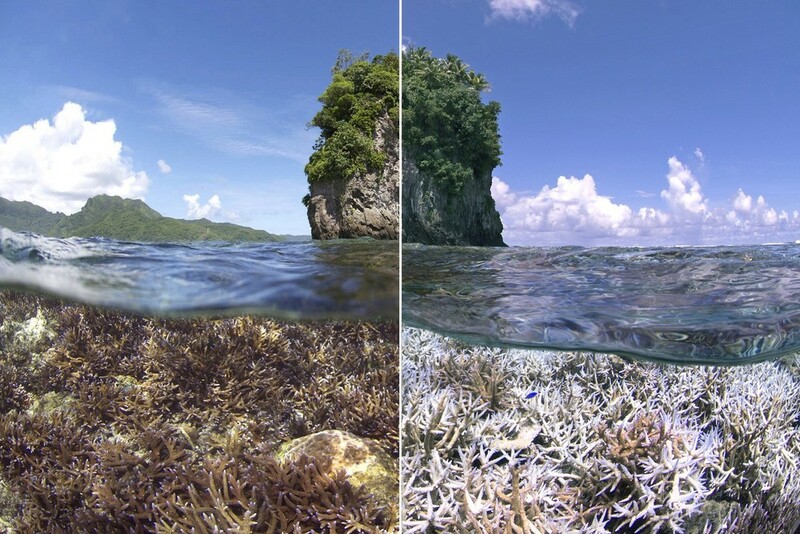 Coral bleaching occurs when waters reach certain temperatures (the exact temperature is different depending on the coral community). This causes corals to expel the algae that live in their tissues and give them their vibrant colors, while supporting extraordinarily diverse ecosystems. When a coral bleaches, it exposes its skeleton and turns a ghostly white. It is then subject to higher mortality rates from further heat stress or the effects of pollution.